The always loved "Jewel" Air Force 1 Low has made it's way back to retail for 2012. Today brings us news that the previously previewed re-issued version of the "Jewel" Air Force 1 Low is now hitting retail in three great colorways. Originally introduced throughout the mid to late '90s and early 2000's, the "Jewel" Air Force 1 is still one of the most popular takes on the Air Force 1 of all time. 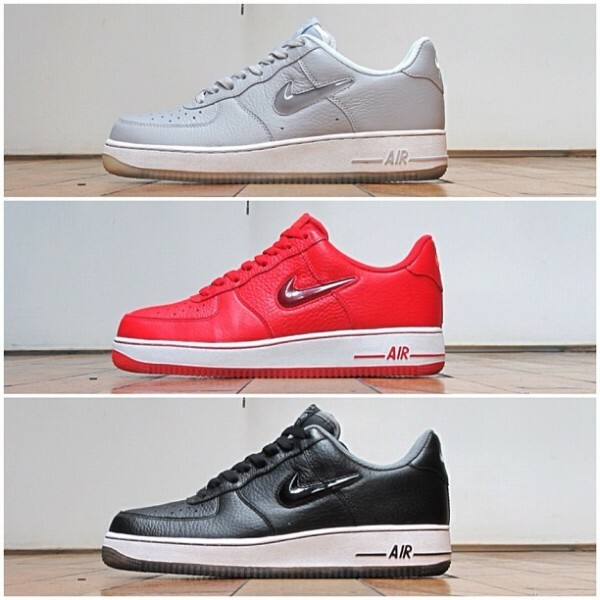 Re-introducing them for the Air Force 1's 30th Anniversary, the "Jewel" Air Force 1 Low is now available in three exciting colorways; Grey/White, Red/White and Black/White. The Air Force 1 Low Jewel is now available at select NSW accounts including NSW's 21 Mercer location in NYC.